Reading vs Nottingham Forest predictions ahead of this game in the Championship on Saturday. Will the Royals continue to struggle? Read on for our match preview and free betting tips. Can Reading rescue a terrible Championship season with victory over Nottingham Forest this weekend? The Royals face a stern task against one of the best away sides in the division, with Forest aiming to keep up their push for the top six. They come here in seventh, but four points shy of a top-six finish. While they’ve had a poor run of form of late, can they rally to pick up three points when they visit the side who are second from bottom in the second tier? Reading were the latest side to lose out to the new look Man United, going down 2-0 at Old Trafford on Saturday. Their loss leaves them focusing on the league campaign from here on, and they need it. They have slipped to 23rd place, sitting five points shy of safety. They have been made odds-on favourites to drop into the third tier, with recent form doing little to save them from dropping into League One. Their loss at United was the latest in a season full of defeats, so we don’t have much faith in them in this clash. The visitors lost at Stamford Bridge, so it wasn’t an easy weekend for either of these two sides. Recently the fixture schedule hasn’t been too kind to Forest, who met Norwich, Derby and Leeds in previous weeks, before losing at Chelsea. However, their push for the play-offs received a boost on New Years’ Day, as they thumped league leaders Leeds 4-2 at home. They’ll be out to build on that great result, with the Madejski Stadium seemingly the best place to do just that. Reading have lost eight league matches at the Madejski Stadium this season, more home defeats than any other side in the division. Meanwhile, Forest are one of the league’s most consistent away sides, having lost just twice on their travels. 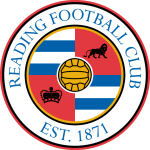 They meet a Reading side who are winless since the opening weekend in November, so their issues have been plaguing them for quite some time. Of late, the Royals have come up short against the likes of Middlesbrough, Millwall and Sheffield United, while they were hammered 4-1 here by Swansea on the first day of 2019. The Royals lost all of their meetings with the current top eight sides already this season, with four of them winning here. 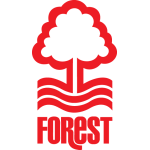 We think Forest are good value to add to that, so we’re tipping them for success in this trip. Reading have kept a clean sheet in just 8% of their home matches. Reading have lost by a single goal in 75% of their home league defeats. Nottingham Forest’s Ben Osborn has scored three goals in nine league games against Reading, more than versus any other opponent.